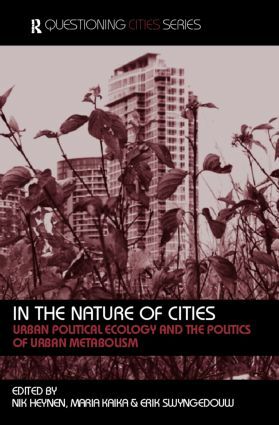 The social and material production of urban nature has recently emerged as an important area in urban studies, human/environmental interactions and social studies. This has been prompted by the recognition that the material conditions that comprise urban environments are not independent from social, political, and economic processes, or from the cultural construction of what constitutes the ‘urban’ or the ‘natural’. Through both theoretical and empirical analysis, this groundbreaking collection offers an integrated and relational approach to untangling the interconnected processes involved in forming urban landscapes.